Tue., March 27, 2018, 5:53 p.m.
After earning a Western Hockey League playoff series-opening split last weekend in Portland, the Spokane Chiefs return home with a chance to turn the heat up on the Winterhawks. The teams will continue the best-of-seven series Wednesday and Thursday at the Spokane Arena. The puck is scheduled to drop at 7:05 p.m. both nights. Both games can be heard on 1510-AM. The teams are guaranteed to return to Portland for a fifth game on Saturday. The sixth game would be played Monday in Spokane if necessary. 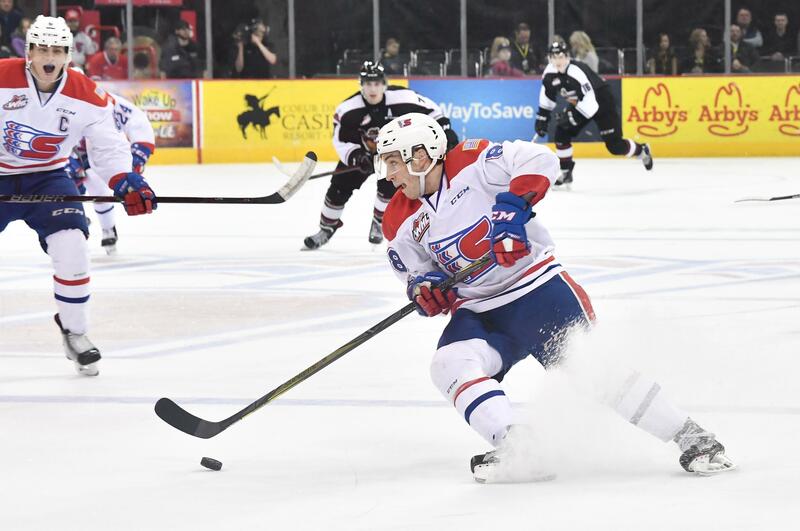 Spokane took the opening game of the series with a 4-3 overtime victory last Saturday. The Winterhawks answered back with a 4-3 victory the following night. A seventh game – if necessary – is scheduled for next Tuesday in Portland. Published: March 27, 2018, 5:53 p.m.